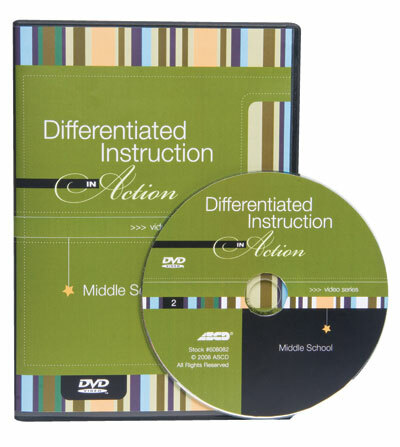 In this video series you'll see differentiation in action in classrooms at all grade levels and in a variety of subject areas. Watch as Carol Ann Tomlinson guides you through numerous rigorous examples of differentiated curriculum and instruction and hear from teachers who are implementing with success. 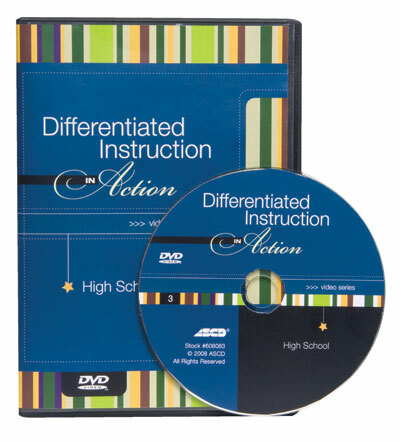 You'll observe classroom examples of the non-negotiables of differentiated instruction in action. Each video contains a complete professional development program, including an embedded PowerPoint presentation and teacher handouts. 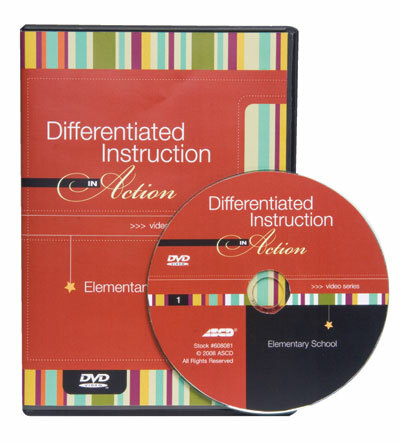 Join Carol Ann Tomlinson and classroom teachers as they bring differentiated instruction to life in this practical, easily implemented professional development program for the elementary school level. Join Carol Ann Tomlinson and classroom teachers as they bring differentiated instruction to life in this practical, easily implemented professional development program for the middle school level. Join Carol Ann Tomlinson and classroom teachers as they bring differentiated instruction to life in this practical, easily implemented professional development program for the high school level. Carol Ann Tomlinson is William Clay Parrish, Jr. Professor and Chair of Educational Leadership, Foundations, and Policy and co-director of the Institutes on Academic Diversity at the Curry School of Education, University of Virginia. She works throughout the United States and internationally with educators who want to create classrooms that are more responsive to a broad range of learners.